About Angela teaches business statistics and research methods at Undergraduate, Postgraduate and Doctoral level in Newcastle Business School. 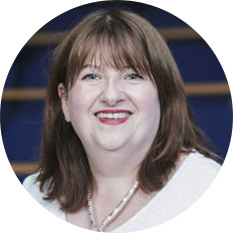 She has previously held posts in Operational Research and Business Planning for British Gas, and has also spent time as a self-employed consultant specialising in data research and analysis. Most recently, before taking up her current position at Northumbria University, she worked at the Higher Education Academy in Institutional Strategy. Her research interests are based around the use of Personal Construct Theory as a framework for organisational research with individuals. She is currently using this in her PhD work to carry out a longitudinal study investigating the effect of Work Integrated Learning on student perceptions of themselves in a work role. Fields of interests / Personal Construct Theory (PCT) and its application in Business and Management research. Student experience, particularly experience in and influence of Work Integrated Learning. Proposition of common research in GETM3 I am interested in using my PhD research methods (principally self-characterisation sketches and other PCT methods) to explore differing perceptions of work and the workplace between millenials and their colleagues/managers. 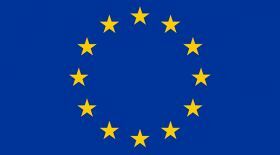 Zupan, N., Dziewanowska, K., Seong-Do, C., Hwang, L., Pearce, A., McGrane, A. and Sorensen, C. (2016) Employment preferences and expectations regarding employment relationship of South Korean and EU business students. In: The 2016 International Conference on Social Collaboration and Shared Values in Business, 22nd-23rd January 2016, Chonnam National University, Gwangju, Korea. Pearce, A. and McGrane, A. (2015) Going and coming back again: the transformative effects of international experience on students as global citizens. In: Northumbria University Research Conference 2015, May 2015, Northumbria University, Newcastle-upon-Tyne. Pearce, A., McGrane, A. and Powell, L. (2015) From INERTIA to BEYOND: achieving cognitive engagement and social mobility through international experience or how we engage students to transform themselves by going away and coming back again. In: The NorthEast Learning & Teaching Conference, 27 March 2015, University of Sunderland. Waring, T., Nguyen, T., McGrane, A. and Johnston, L. (2014) Developing dynamic capabilitites through university-industry relationships: The role of action research. In: British Academy of Management, 09-11 September 2014, Belfast, Northern Ireland. Waring, T., Johnston, L., McGrane, A., Nguyen, T. and Scullion, P. (2013) Developing knowledge sharing partnerships in the SME sector: an action research approach. In: 12th European Conference on Research Methodology for Business Management (ECRM 2013), 4-5 July 2013, Guimaraes, Portugal.